Greetings from Silent Word Ministries! At Jesus’ birth He was worshipped with gifts. The wise men brought their treasures. They presented precious gifts to our Lord. Each year it has been a tradition in our family to read Luke 2:1-20 and offer thanks to Lord before opening our gifts to each other. At that time we recognize the fact that we give because He gave. Our “Christmas” gifts to each other are a small example of God’s great love to us and all mankind. It is an honor to be your missionaries, carrying the great message of God’s Good News to the Deaf world. Thank you for your prayers, support, and special gifts for SWM and SWM missionaries this year. Our policy is to “build as the Lord provides.” We only ask for help when there is a need. Often God has met our needs before we ask. One person called to offer used computers. Now SWM volunteers have an office computer they can use. Other times we make the need known and wait. Every time there has been a need, it has been met. Praise the Lord with us…. 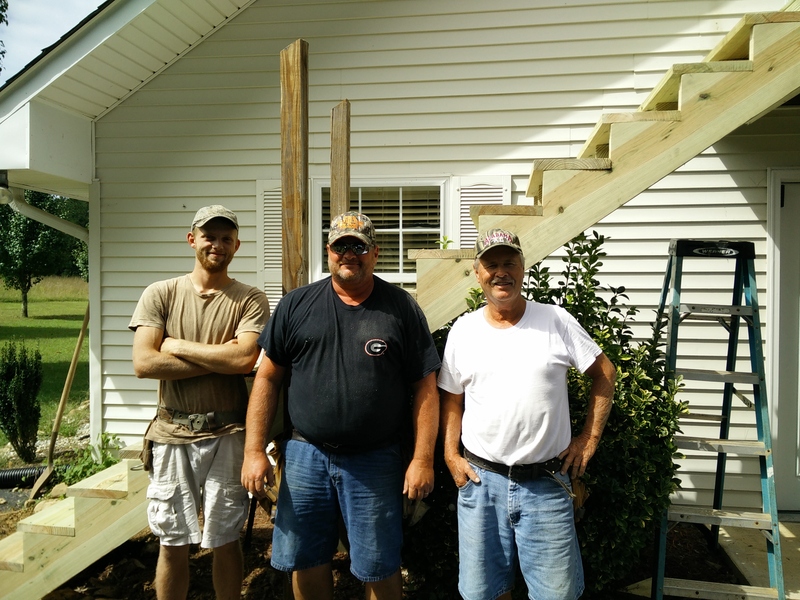 Picture #1 – Tommy Pardue (R) and crew replaced two sets of steps for SWM buildings. SWM appreciates friends who help make our ministry possible. Thank You! 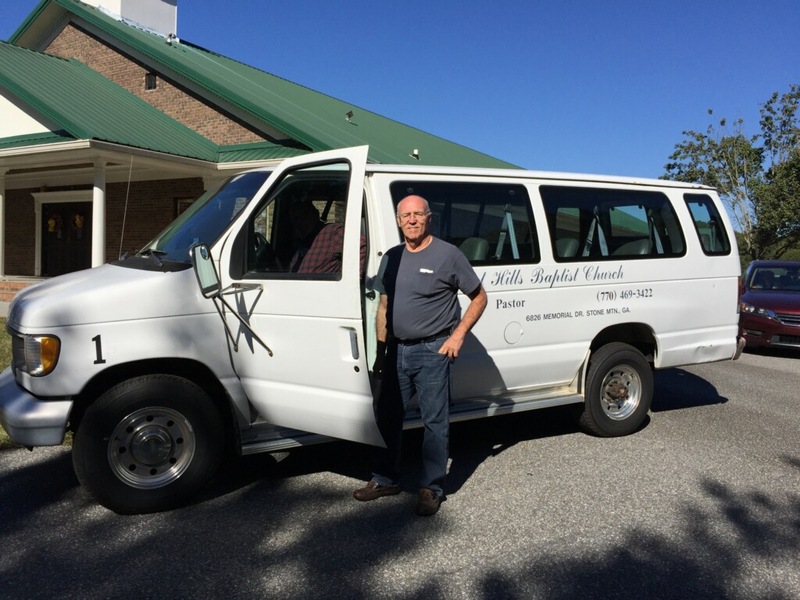 Picture #2 – Forrest Hills @ Mountain View Baptist Church (Pastor Keith Hamilton) donated their old church van to be used for local errands and trash runs. Allen Snare & Jimmy Sharpton drove it to SWM. Thanks! Each of these pictures represents gifts and sacrifice. When the steps needed to be replaced, a gift for $2,300 arrived before we asked. The van was donated and there was an undesignated gift to help with registration. The Baker Studio is constantly improving, thanks to gifts. Many have sent gifts to help SWM missionaries at Christmas time. Others have sent $5 or $10 in addition to their regular missionary support to help with the SWM. Thank you! 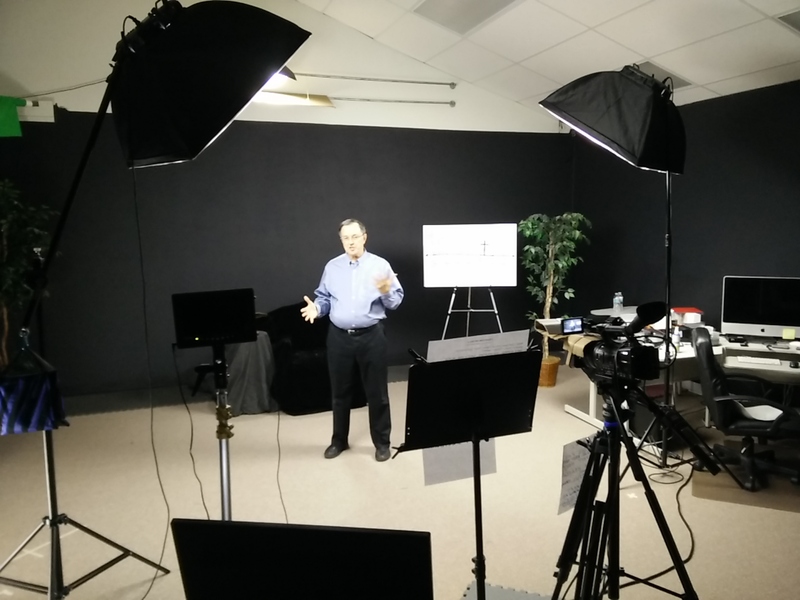 Thank you for investing in and praying for SWM as we go into all the Deaf world for Christ.